One of my friends was so deeply influenced with wooden pallet recycling that he made a domestic wood workshop right in his backyard. He was so just always indulged in some creative projects with pallet wood. And this the time when he is being rewarded back by his efforts. His work is being recognized by the people, he is earning a lot of respect. I have also got the same sort of motivation inside my heart. 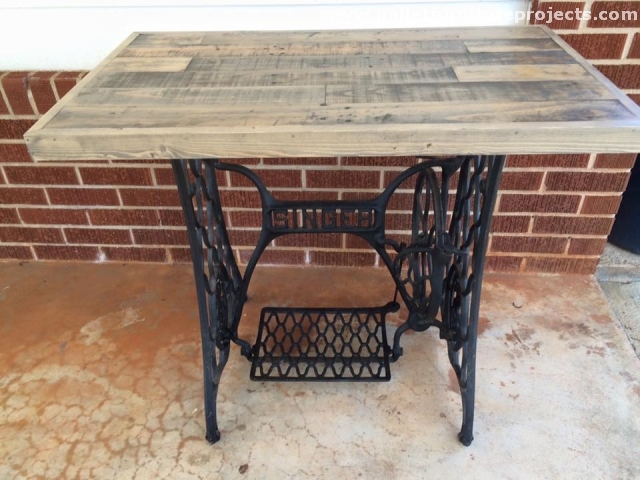 So today we are going to repurpose a saw machine into a pallet top table. Just don’t get messed up with the title, the base is reclaimed from a saw machine. This saw machine was just lying idle from a long time in my backyard, it was broken and damaged. So I just planned to remove the cutting portion, and to make a pallet wood table after the reclaimed base of the saw machine. 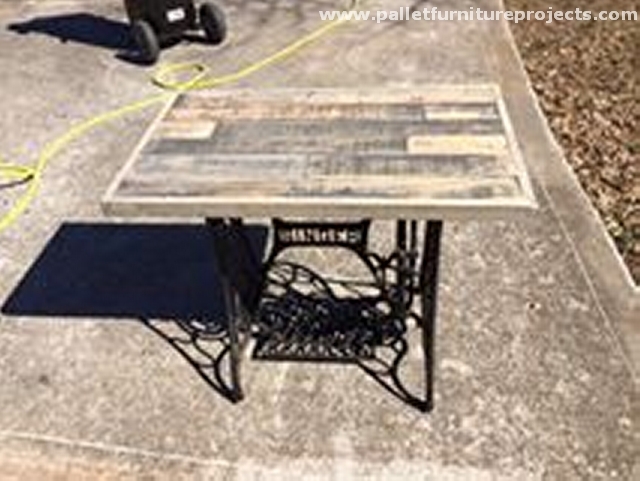 This is the basic quality of a true pallet crafter that he finds out the potential features of any discarded item and then by repurposing it, he gives it an entirely different dimension, so did I here. 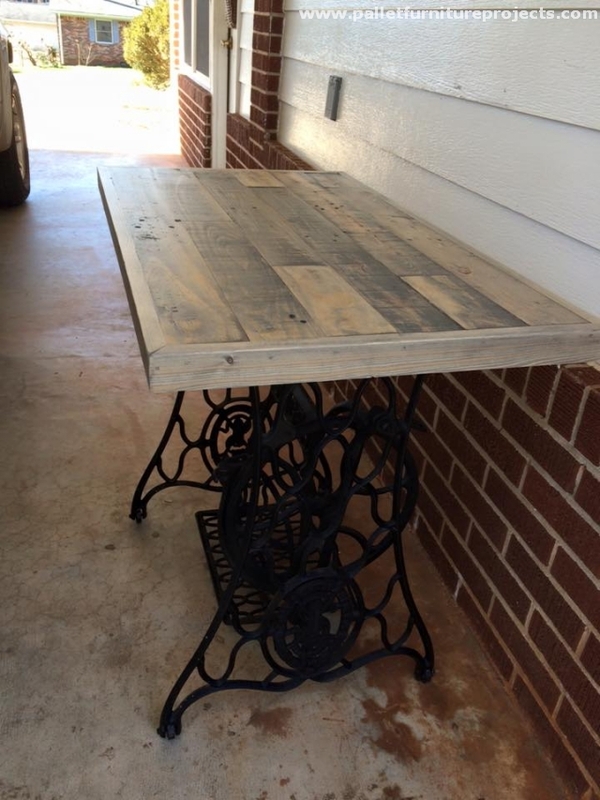 I repurposed the saw machine into a pallet wood table. Here we are giving a brief description of the said table. Its metallic base is reclaimed from the old discarded saw machine that was not in use anymore. Then we cut to size the wood pallet planks, and we made a decent table top that is fixed on this reclaimed saw machine base. 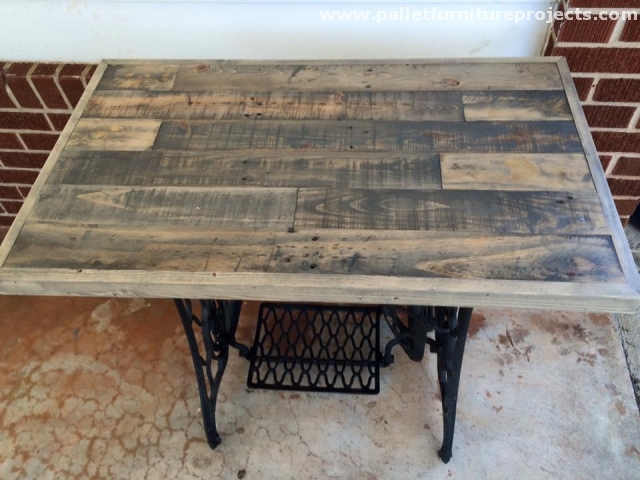 And thus it became a totally practical wood pallet table that is being used in outdoor. I place a number of accessories on it while working in my domestic workshop. Its reclaimed metallic base make it pretty strong to carry all the heavier weights. So this one is actually helping me out.